It would appear that there will be a few more differences between the upcoming Fire Emblem IF versions than was originally anticipated. Recently Project Manager Masahiro Higuchi from Intelligent Systems and Nintendo Producer Hitoshi Yamagami spoke with 4Gamer and talked about a few more differences in Fire Emblem IF Black and White Kingdom. 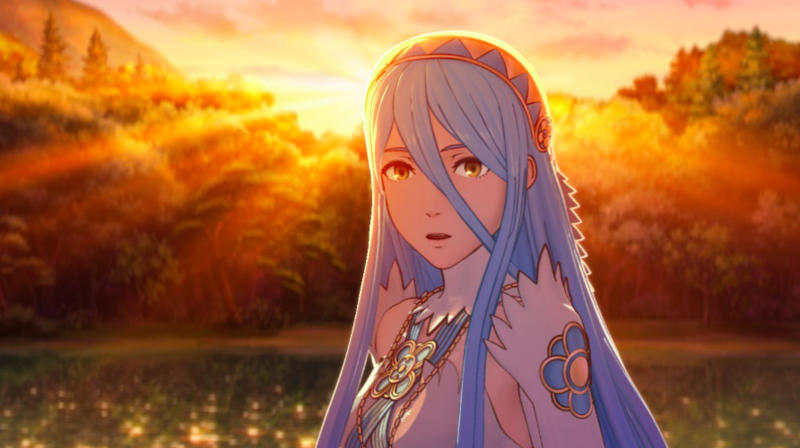 In the interview they discussed that the story is not the only difference between the two versions, the White Kingdom was created for fans who have joined the series with Fire Emblem Awakening or are playing a game in the series for the first time. White Kingdom will indeed be easier, while Black Kingdom will have a much higher difficulty with limited money and experience points for leveling up your characters. Additionally, it will have more difficult conditions for clearing its stages. Defeating the enemy general or defeating all enemies are still the basic requirements, but it will also have other conditions such as suppress enemies, break through enemy lines, and defend your base. There will also be maps with limited turns. Yes. Of course the story will be completely different, but there will also be major differences in the maps and the way the game is played. The games are being made so that you can feel satisfied by playing just one, but I believe that if you were to play both, you would be rather surprised at their differences.